ü Sher Shah Suri Marg (GT Road) connects Amritsar to Calcutta. ü The first serious attempt to develop roadways was made in 1943 with Nagpur Plan. ü In 1961 ‘Twenty Year Road Plan’ was drawn which increased the road length from 6.56 lakh km to 10.60 lakh km. ü These are for interstate and strategic movements and connect the state capitals. ü They carry nearby 40 % of the road traffic in India. ü Total length is 42,000 km. ü The state highways are constructed and maintained by state governments. ü They connect the state capital with district headquarters. ü The construction and maintenance is the responsibility of Zilla Parishad. ü Total length is 6, 50,528 km. ü The construction and maintenance of village roads is the responsibility of village Panchayats. ü These roads connects the village with neighboring towns. ü Total length is 14, 55,896 km. NH-86 360 U.P. , M.P. No. 1. New Delhi - Ambala - Jalandhar - Amritsar. No.2. Delhi - Mathura - Agra - Kanpur - Allahabad - Varanasi - Calcutta. *The National highways No –7 is the longest high way of India. ü After the Natinal Highways, there is a plan under the consideration of Central Road Transport Ministry to create Super National Highways. ü These Super National Highways of about 14,000 km length. ü Through this there is a plan to link big sea ports of the country with important cities. ü In the construction of these Highways, the role of Private Sector will be important. ü This will be done on the basis of BOT (Build Operate Transfer) by Private Sector. ü The Government of India has received 22 feasibility reports for the building of Super National Highways and the estimated cost is about Rs. 1,50,000 crore. ü Out of these, 10 proposals have come from multinational companies. ü After the amendment in clause 9 of National Highway ordinance 1956, the Rajya Sabha passed the National Highway (Amendment) Act 1997 on March 11, 1997 through voice vote. ü This gave the right to the central government of enacting laws regarding the land acquisition for the development of National Highways. ü The National Highway Authority of India (NHAI) was constituted under the National Highway Authority of India Act 1988 and was made operational in February 1995.
ü Initially it was entrusted with the task of implementing five externally aided National Highway improvement projects. ü Subsequently it has been mandated to implement the National Highways Development Project (NHDP) comprising 4/6 laning of 13252 km. of national highways having two components. ü (b). North - South and East - West corridors (7300 km), connecting Srinagar to Kanya Kumari and sileher to Saurashtra respectively and Salem to Cochin. ü Trains are the most important means of transport. ü They account for nearly 3/5th of the passenger traffic in India. ü This also accounts 4/5th of the freight traffic in India. ü Indian railways system is the largest in Asia. ü Indian railway system is fourth largest in the world. ü This is the biggest departmental public undertaking in the country. ü It is also the world’s second largest railway system under a single management. ü The first train in India steamed off from Bombay to Thane, a stretch of 34 km. in 1853.
ü The network of railways has increased up to 62,809 km. ü The Indian railways operate in three different gauges. ü The broad gauge accounts for nearly 50 % of the traffic followed by meter gauge 43 % of the total route length. ü The total route - length of the Indian Railways is about 63,000 km. ü Railways are divided into 16 zones, headed by a General Manager who is responsible to the Railway Board for operation, maintenance and financial matters. ü Out of the 16 zones Northern Railways is the longest with a length of 10,995 km. ü Indian Railways has introduced a new marketing strategy of Container services in 1980 with 7 container depots which in 1996 have expanded to 32 locations. ü The Container Corporation of India (CONCOR), a public sector undertaking provide door to door services for domestic users, transportation in bulk for small customers and international transport in International standards organization (ISO) containers. ü In March 1990, the Konkan Railway Plan was started to provide a link by the shortest rail route between the states of Goa, Maharashtra, and Karnataka. ü This includes, the 760 km distance between Apta and Mangalore. 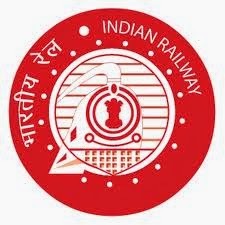 ü The Registration of Konkan Rail Corporation was made on 26 July, 1990 under the company act. ü 51 % share equity of the corporation belongs to Indian Railways. ü The Konkan Railway Project has been completed on January 26, 1998.
ü The rail traffic has been started between Roha (Maharashtra) and Mangalore (Karnataka). Konkan Railways ensures maximum speed of 160 km per hour. The international airports in India. ü Air India was established in the year 1953.
ü Air India has bilateral air services agreement with more than 100 countries in the World. ü The Indian Air line was established in 1953.
ü This is basically meant for providing helicopter support services to oil sector, hill station and remote areas. ü It also provides air support services to several customers which includes ONGC, Punjab, M.P., Lakshadweep Administration, GAIL, BSF and also caters to private sector. ü The liberalization process in civil aviation took wing in April 1990 with the cargo open skies policies. 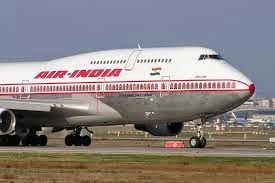 ü The Air Corporation Act, 1953 was repealed on March 1, 1994.
ü This put an end to the monopoly of Indian Airlines, Air India and Vayudoot over scheduled air transport services. ü This is the most efficient, least costly and environment friendly means of transportation. ü The total length of navigable water ways in India comprising rivers, canals, backwaters, crecks, etc. is 14,500 km. ü Out of the total navigable water ways 3700 km is navigable by mechanized boats. ü India has a net of 4300 navigable canals out of which only 900 km is navigable by mechanized boats. ü India has a long coastline in the Indian Ocean. ü India has 11 major and 139 medium and small ports. ü This is a natural harbour. ü This is located on the western coast of India. ü Mineral oil that is imported from South West Asia is received here. ü Most of the foreign trade with Western countries and East African countries takes place on the west coast. ü Another port Nhava Sheva is developed to relieve the pressure on Mumbai port. ü This is a tidal port. ü This is the first free port in India. ü From here the export of Crude oil, fertilizer, salt, foodgrain, cotton, cement takes place. ü It was created out of compulsion since Karachi port went to Pakistan after partition. ü This is on the coast of Goa. ü This is also a natural port. ü Iron ore is exported from Goa. ü It occupies fifth position in handling the traffic. ü This is on the coast of Karnataka. ü From here the export of iron ore from Kudramukh mines takes place. ü It handles the import of fertilizer edible oil, petroleum products. ü This is also a natural harbour. ü This forms at the backwaters of Kerala coast. ü From here the export of tea, coffee, spices, cashew, etc takes place. ü The import of petroleum for Kochi refinery also takes place here. ü This is located at the coast of Tamil Nadu. ü This handles coal, food grains, edible oil, sugar and petro products. ü This is developed in the recent times. ü This is an artificial harbour. ü This is located on the east coast in the state of Tamil Nadu. 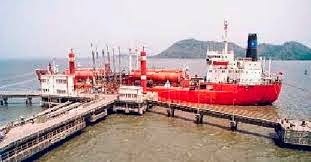 ü It handles petroleum products, mineral oil and iron ore.
ü This is the oldest port in India. ü The lesser depth of water and tropical cyclones makes it impossible sometime. ü This is located on the eastern coast along Andhra Pradesh. ü This is naturally deep water and protected. ü The export of Crude oil, petroleum product, iron ore takes place. ü It is the deepest land locked and protected port. ü This is located on the Odisha coast. ü It has capacity of handling 6.05 million tonnes. ü This is a riverine port. ü This is an Inland location on Hoogli River. ü Goods from South east, Australia and New – Zealand are imported here. ü The Kolkata port suffers from problem of silting. This is located on Hooghli. This is meant for releasing congestion at Kolkata port.